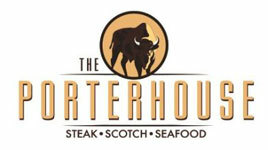 The Porterhouse is a waterfront steak and seafood restaurant in the village of Fairport, overlooking the Erie Canal at Packett's Landing. Gluten-free options and event space available. The owners also own T-Bones Steakhouse in Penfield. They opened July 28, 2015. The location was previously Joey B's.